In the 21st century, our lives are getting more and more occupied with various gadgets. Most of these gadgets run on batteries and these batteries need power to get charged. Well, when we have a wall outlet near us, we can simply plug the charger in and charge our gadgets. But there are times when we’ve low battery on our devices and don’t have any wall outlets near us. This is where powerbanks can help us. But before you go ahead and purchase a powerbank, let’s see what all things you must know before buying a powerbank. Do you think that a 20,000 mAh powerbank would output a total of 20,000mAh? If you think so, then you’re wrong. The output efficiency of any powerbank is never equal to its original capacity. There is power loss from the circuit heat and voltage conversions from the battery, the charging cable and the device you’re charging. So, about 30-40% power of a powerbank is lost in this. For e.g. Mi Power Bank 2i (10000 mAh) has output capacity of 6500 mAh, which means 35% power is lost in this powerbank. If a power bank loses 30-40% power, then it can be considered as a good powerbank. If it loses more power, then you should avoid purchasing that powerbank. And if you find a powerbank which loses less than 30% power, then it’s a great powerbank, in terms of output efficiency. 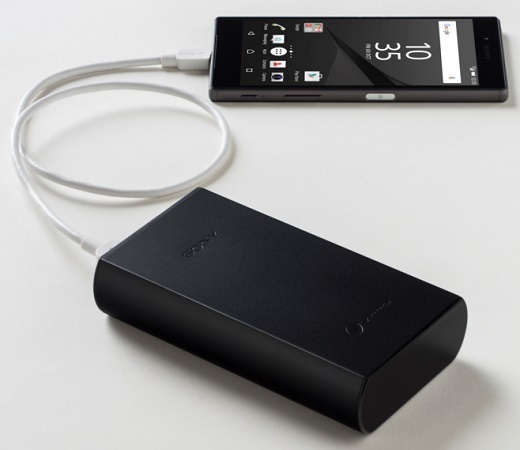 Are you buying a powerbank to charge just one device? Or would you like to have an extra port, either to help someone else or maybe using it to charge another device? We would say it’s always better to have one extra port on the powerbank, which can be used whenever needed. Also, if you have an extra port, you’ll be able to help your friend in need. So, try finding a powerbank which has at least two ports. Consider that you’ve 4 ports on your powerbank, but each port supports power output only up to 1A. This would make no sense as it would be really slow to charge any smartphone these days. So, it’s essential to check whether those ports on the powerbank support fast charging, likely up to 2.4A. Also, there are powerbanks which supports Qualcomm Quick Charge 3.0. So, if you have a device which charges using Quick Charge Technology, then try to find a powerbank with that technology as well. Well, we don’t want you to carry a brick in your pocket or backpack. So, keep the portability in mind while purchasing a new powerbank. Get a powerbank which can easily satisfy your power needs, and which can be carried easily whenever you want to. Not only the weight but the size of the powerbank must be kept in mind while considering the portability. Not all manufacturers offer the same warranty on their powerbanks. For e.g. Xiaomi offers a 6-months warranty on their powerbanks while Anker offers 18-months warranty. So, you can have a peace of mind if you get a powerbank with a longer warranty period, as you can receive support directly from the company if anything goes wrong in that period. Now, you know the essential things which you need to see before buying a powerbank. So, please don’t buy any random powerbank without taking these things into consideration.